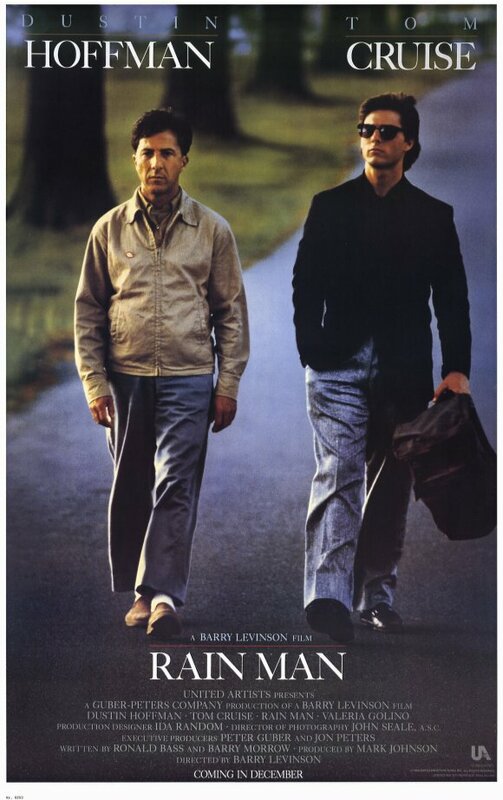 Rain Man – Did You See That One? 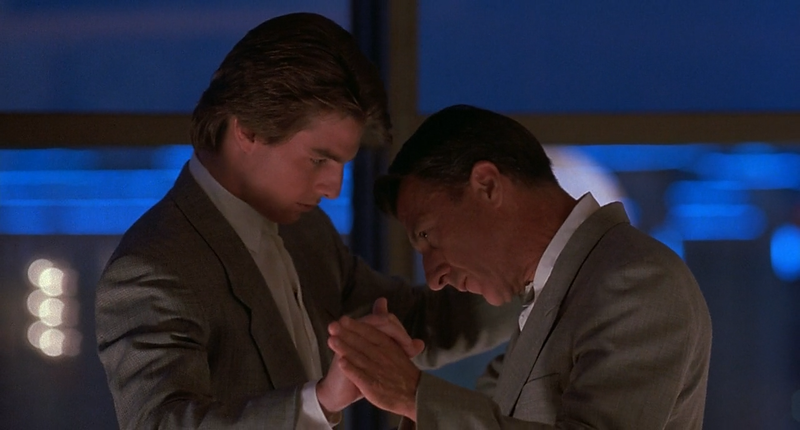 When his father dies, Charlie Babbitt (Cruise) returns home only to find out that he’s been cut out of the will. His search leads him to Raymond (Hoffman), the autistic brother he’d never gotten a chance to know. No they’re on the road, getting to know one another. Every so often a film comes along that brings a problem to light that society might have pushed aside. Films like Philadelphia, The Lost Weekend, and The Hurt Locker have all highlighted segments of society that are often misunderstood. 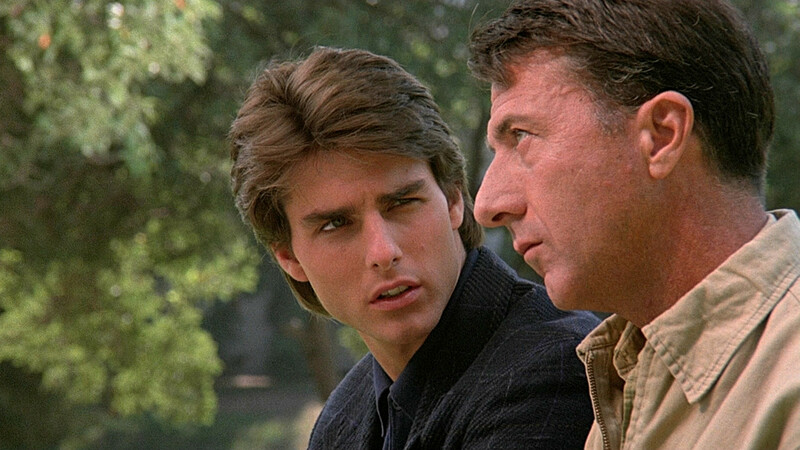 Rain Man took up that effort in 1988 with a unique look at autism. The film earned four Academy Awards, including Best Picture. Director Barry Levinson (Good Morning, Vietnam) won Best director for his work on this film as well. 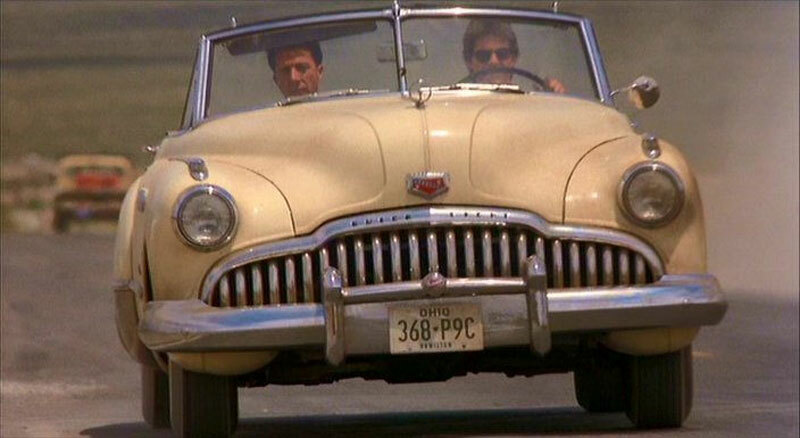 The film was written by Barry Morrow (Race the Sun) and Ronald Bass (The Joy Luck Club). The pair won the Best Original Screenplay Oscar for their efforts. The film stars Dustin Hoffman (Kramer vs. Kramer), Tom Cruise (Mission: Impossible – Ghost Protocol), and Valeria Golino (The Indian Runner). This story is a unique coming-of-age story that works within some very complex territory. The subject of autism is portrayed in this film in a way that previously hadn’t been attempted. The story has enough drama to stay interesting while exploring the unique characteristics of Raymond. The characters all have great back stories and they connect together with the right amount of friction. This friction is necessary for the coming-of-age aspect of this story to work. The scenes between the two brothers are wonderfully written, with dialogue that works perfectly. Overall, this story has all the right elements to bring out the emotion of the plot and it pays off in the end. The acting in this film is where the real magic happens. 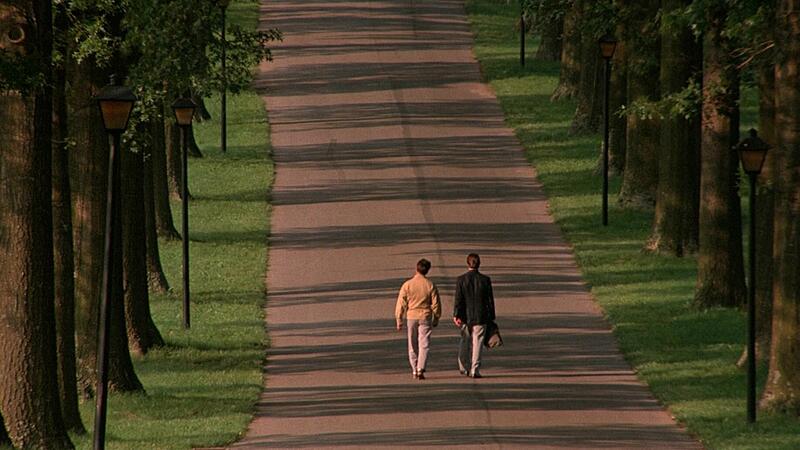 Dustin Hoffman gives a performance that illustrates his immense skill in transforming himself for a role. He not only handles the physical aspects of the role, but also seems to understand the lack of connection autism had given his character. He also finds just the right moments to let Raymond be a little bit more than expected. This performance earned Hoffman his second Oscar for Best Actor. Tom Cruise also does a great job in this film. If they were looking for someone to play the polar opposite to Hoffman’s character, they picked the right guy. His energy and intensity work nicely to highlight the differences between the brothers. Cruise also seemed to understand the adjustments necessary to show the growth of his character. The two also share great chemistry on screen. The supporting cast features a handful of good actors including Valeria Golino. This film could be considered a mix of road film, coming-of-age tale, and drama. 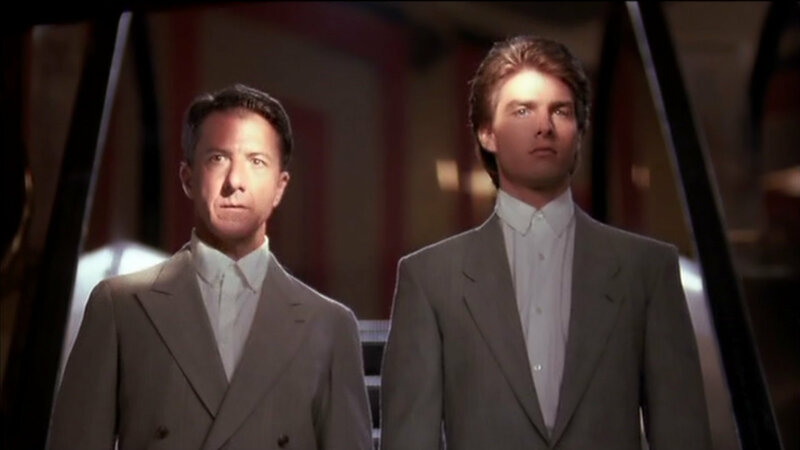 The visuals do a great job isolating Cruise and Hoffman throughout the movie. This isolation serves to visually interpret the fact that they’ve only got one another since their parents are deceased. The camera work and set design contribute to this feeling, and really add something special to the film. The film earned Oscar nominations for Best Cinematography, Best Film Editing, and Best Set Decoration. In addition to the visuals, Hans Zimmer was also nominated for his original score. Overall, the production value of this film is great. Despite being close to 30 years old, this film holds up nicely. If you’re a fan of Hoffman or Cruise this is one you should definitely see. I would also suggest this to anyone who likes character-driven dramas or coming-of-age tales. It’s important to note that some critics thought that this film stereotyped autistic people as having special abilities. This is one way to look at it. I would argue that while it doesn’t address the issue of autism on a grand scale, it broke the ice in ways that had not been previously done. I give this one 5 out of 5 stars. Not perfect, but it really is a great film. Good review. It has been many years since I saw this one. Some great moments. Hope you get a chance to see it again soon. Pingback: Jerry Maguire | Did You See That One? Pingback: Mission: Impossible – Rogue Nation | Did You See That One? Pingback: American Made | Did You See That One?